The Town of Duncan is quite proud of Chief Long and our Town of Duncan Police Department. Working with a normal size budget for a town the size of Duncan Chief Long has made Duncan one of the safest municipalities in the State of South Carolina. Give him a call and he will be glad to explain why Duncan can claim to be one of the safest Towns in South Carolina. 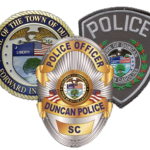 A point of pride is the Facebook page of the Duncan Police department. The source of this pride is described in a 2015 front page article run in the Spartanburg Herald Journal. You should be able to read that article by clicking here. 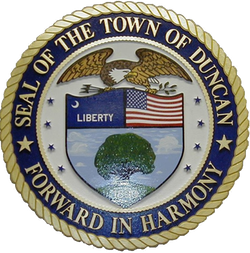 The links to the Town of Duncan web site and Facebook page are listed below. The prescription drug recycling program is a program the Duncan Police Department runs that is both a unique program and a very useful program for a reason most people simply never think about. For more on why you might want to participate in this cost free program if you have prescription drugs please click here. The Duncan Police Department also believes that Duncan residents should be able to increase that chances their trailers won’t be stolen. This is accomplished by participating in the Trailer Identification Project (TIP) with other local law enforcement agencies. More on this program can be found by clicking here. Many forms of speeding and other tickets can be paid online. 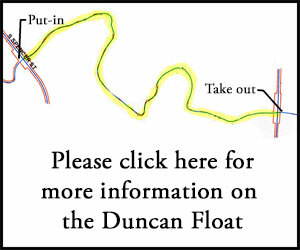 The link is on the Duncan Municipal Court web page. You can go to that web page by clicking here. The Duncan Police Department has gone the extra mile in another area. 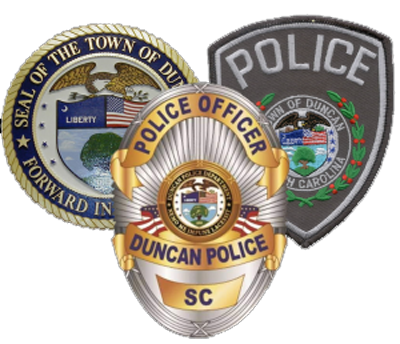 The National Night out is an event that has become a successful recurring event in the Town of Duncan. For more on this event please click here. call Duncan Town Hall (864-439-2664) and follow the prompts.